This 4′ x 8′ all metal cart features a welded steel frame, casters, four folding extension shelves, four security panels mounted on gas shocks, incandescent light fixtures, lockable cabinet storage, removable shelves and a removable sign holder. 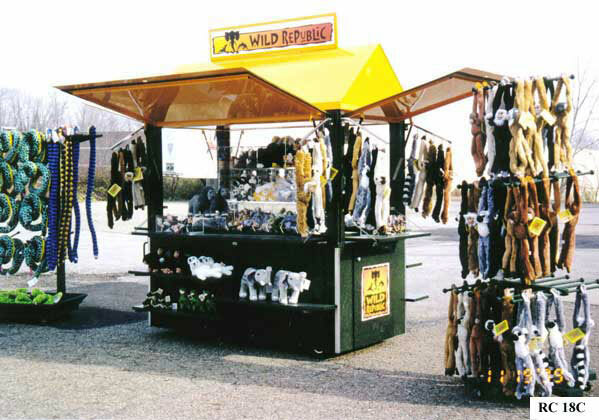 Cart is fully weatherproof for gifts and souvenirs for aquariums, zoos, museums, tourist attractions and amusement parks. Your choice of colors.